EB1 antibody recognizes EB1, also known as APC-binding protein EB1, adenomatous polyposis coli-binding protein EB1 or end-binding protein 1. 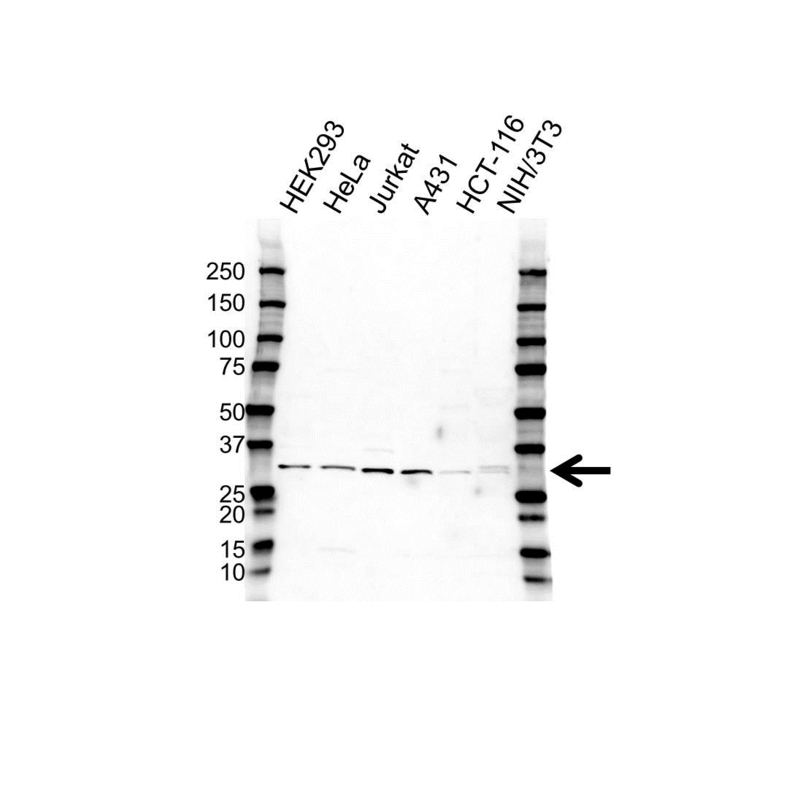 Rabbit anti Human EB1 antibody recognizes EB1, also known as APC-binding protein EB1, adenomatous polyposis coli-binding protein EB1, end-binding protein 1 and microtubule-associated protein RP/EB family member 1. The protein encoded by MAPRE1 was first identified by its binding to the APC protein which is often mutated in familial and sporadic forms of colorectal cancer. This protein localizes to microtubules, especially the growing ends, in interphase cells. During mitosis, the protein is associated with the centrosomes and spindle microtubules. The protein also associates with components of the dynactin complex and the intermediate chain of cytoplasmic dynein. Because of these associations, it is thought that this protein is involved in the regulation of microtubule structures and chromosome stability. MAPRE1 is a member of the RP/EB family (provided by RefSeq, Jul 2008). Rabbit anti Human EB1 antibody detects a band of 30 kDa. The antibody has been extensively validated for western blotting using whole cell lysates.